Posted November 1, 2017 by Han Hunter & filed under Headlines, Rewind, Start dates. To celebrate the syndication of the beloved BBC show on SyFy, here’s a look at what some of the programme’s stars have been up to since the magic ended in 2012. Playing our Protagonist, Merlin, for four years Morgan has since ditched the hair but not his flare for period pieces; with supporting roles in both Testament of Youth (2014) and Legend (2015). He’s also been seen returning on the BBC, alongside Gillian Anderson in The Fall. Morgan’s most notable work could be considered Channel Four’s sci-fi drama Humans (2014 – Present) in which he plays Leo; part human/ part synth fugitive in search of his lost synth family. The show has received critical acclaim, many award nominations and currently has a third series is in the works. Bradley won our hearts as the second half of the loveable bromance; Arthur Pendragon and future King of Britain. Since, he’s stayed close to his BBC roots by appearing as Giuliano de’ Medici in historical drama Medici: Masters of Florence. Not all his roles have had the longevity as Merlin; his turn in Netflix’s IZombie is wonderful, if not a little too fleeting (more so when it takes you a number of episodes to recognise him). A&E’s contemporary continuation of 1970’s franchise The Omen. It appears that there was only room for one Brit fronted horror sequel show (Exorcist) and Damien was not renewed past its 10 episode first series. However, between it being my favourite horror movie and it starring James; I will be hawk like in my hunt for a DVD release. Arguably one of our busier stars from the show, McGrath has returned to the world of myth and legend in Guy Richie’s King Arthur: Legend of the Sword (2017). Prior to this, she also took on a supporting role in 2015’s successful dinosaur reboot Jurassic World. 2016 saw McGrath take major roles in not one, but two American shows, and they couldn’t be more different. In Slasher, a new horror anthology that is now branded as a Netflix Original, McGrath plays Sarah who upon the return to her birth town is subjected to copycat killing that mirror those that resulted in the death of her parents. 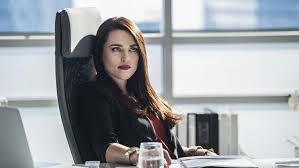 The second, is a little CW show called Supergirl in which she represents the Luther corporation as Lena Luther; half-sister to the infamous Lex. She has proven herself to be a perfect fit and fan favourite, being promoted to series regular in time for the series 3 premiere. 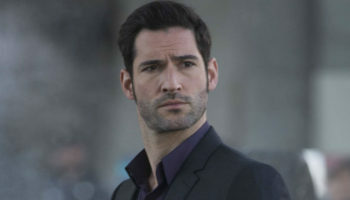 Playing recurring character Cenred in series 3 of Merlin, Tom Ellis is currently best known for playing Lucifer Morningstar on Amazon Prime’s Lucifer. A far cry from his days in Watford, Ellis looks at home portraying the devilishly charming right-hand man of Detective Decker of LAPD. However, had this comic book adaption not been around, things could have been equally as positive for Ellis. He was originally cast in Netflix’s Once Upon A Time as Robin Hood and appeared in one episode of series two. Upon series three’s production, the show runners had a story arc in mind, but Ellis was unavailable, and the role went to another Eastenders’ alumni; Sean McGuire. 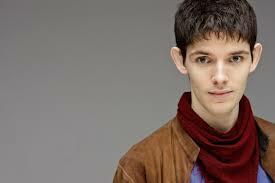 Another recurring actor that started their career in the BBC soap, Ryan played Nimueh in Merlin’s first series. She went on to play a feisty companion to David Tennant in his final year on the TARDIS; playing Lady Christina de Souza in the Easter aired episode Planet of the Dead (2009). Among her other roles are Noel Clarke’s 4.3.2.1 (2010), Cockney’s V’s Zombies (2012) and a recurring role in Piper Perabo fronted Covert Affairs (2010 – 2014). Most recently, Ryan has leant her vocal talents to an Audible Original Drama; Alien: River of Pain (2017) along with fellow British talent; Alexander Siddig, Colin Salmon and Anna Friel. Speaking of the Alien franchise, it is only fitting that we end this retrospective with a look at the success of the late John Hurt post Merlin. With his distinctive raspy voice, it would be hard not to look at the career of the man who gave the last dragon a strong and noble voice despite his captivity. 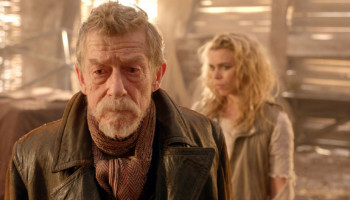 Post Merlin, Hurt remained with the BBC and helped Doctor Who celebrate its 50th Anniversary in the best way; by taking on the mantle of the War Doctor in the event episode The Day of the Doctor (2013). While Christopher Eccleston’s Ninth Doctor will forever be my favourite (MY Doctor, alternatively is Sylvester McCoy. ), and at the time I was a little heartbroken that he turned down the opportunity to reprise his role; I will forever be grateful that he did as this allowed Hurt to end the Time War. Merlin airs on SYFY weeknight from 7pm, starting 6th November and is also available to stream on Netflix now.